Benjamin Vierling is an artist of exemplary abilities whose art features many themes, from magical plants to alchemy to astrology to mythology. His layered, nearly lacquered look and exquisite attention to detail rivals that of the great Renaissance painters. I was lucky enough to catch up with Vierling recently and discuss his rotanical leanings. Here are the results. Plants seem to play an important role in your paintings, including being the main subject of several. What is your earliest plant memory? The first actual plant memory may be of hanging house ferns, and of the delicate light being filtered through their lace-like fronds. I spent the early years of my childhood in an elegant San Francisco flat, and I seem to recall the atmosphere being imbued with soft green shadows and coiling tendrils. I believe that my mother had a number of plants placed near the tall, paned windows. I presumably spent hours as an infant watching the interplay of light and shade on the ivory walls and ornate Victorian moulding. The strongly aromatic scent of eucalyptus likewise permeates these memories, as a grove of the trees stood very near to our residence. 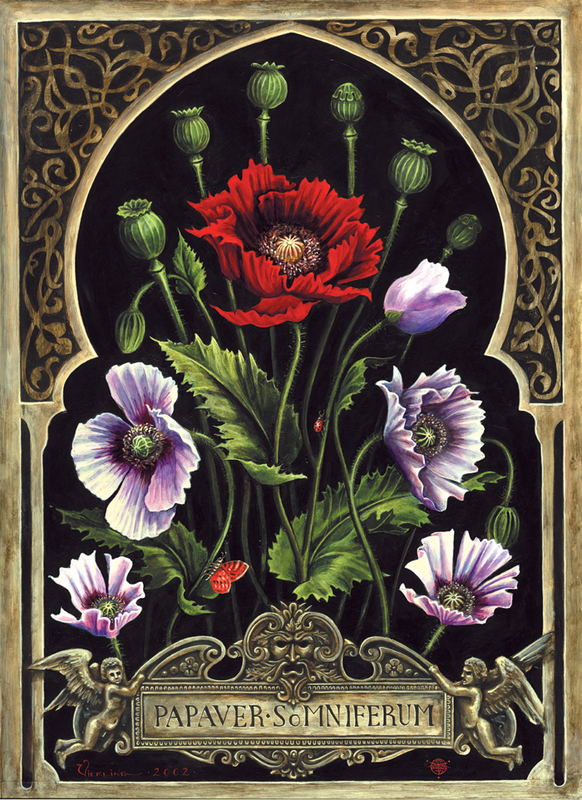 The subject of your paintings Papaver Somniferum and Atropa Belladonna, are both rotanicals in their own right, considering their deadly attractive properties. Can you tell us more about how you came to choose these plants as subjects? These images were originally commissioned for the musical-herbal, Infernal Proteus, which was released by Ajna Records in 2002. This eclectic compilation of music featured a score of different bands and musical projects, each of whom selected a plant to illustrate by way of image and sound. In part because of the musicians with whom I was collaborating, Papaver Somniferum and Atropa Belladonna were selected along with Ficus sycamores. All of these unique flora figure prominently in folklore and legend. I always endeavor to depict the soul of the plant in my paintings, and so it is important to weave in mythological references along with the botanical details. Are plants more difficult to paint than people or objects? This definitely depends on the individual identity of the subject! On the whole, plants require more meticulous rendering, with their widely diverse manifestations of leaf, stem, and flower, all of which may appear in an infinite variety of colors. Textures are always important to acknowledge when rendering any form with paint. Some surfaces, like planed wood, or naked bone, are somewhat formulaic to render, whilst others, such as the multileveled labyrinth of pine-bark, pose a more rigorous challenge. The human subject is furthermore unique. The patron of a portrait inevitably has expectations about how the sitter should be depicted and perceived, whereas a plant is less vocal with it’s standards. I have nevertheless had nightmares about plants whose unique personas I had failed to exalt with due grace at the easel. What are the plants in Sacred Heart and what do they represent? 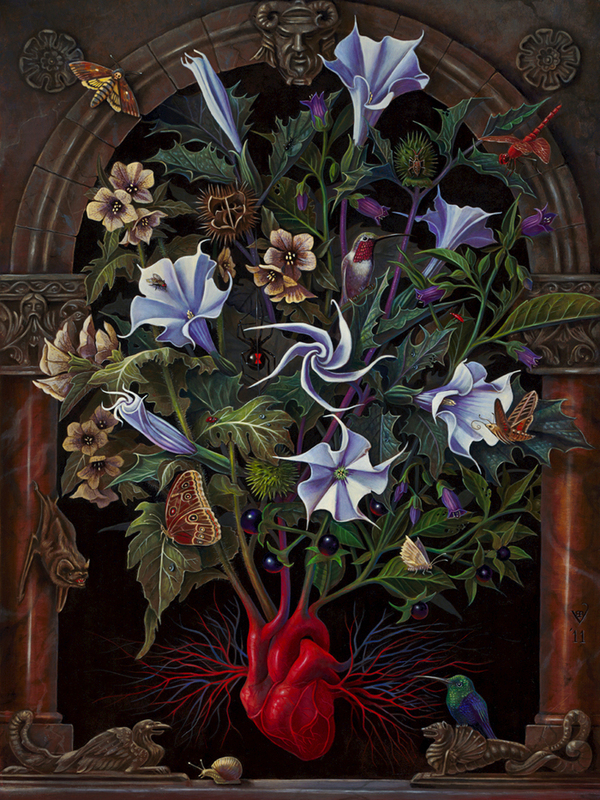 There are three distinct species blossoming from the Sacred Heart; Datura stramonium, Hyoscyamus niger, & Atropa Belladonna. These herbs from the Witch’s garden were selected in part because of their toxic yet visionary properties, and also because of their wonderfully alluring forms. The general idea was to create a microcosm of rich abundance, in which 13 different species of small fauna navigate and interact amidst the radiant flora. The stylistic inspiration comes from baroque-era dutch floral paintings. The theme of the Sacred Heart further elaborates on the idea that life stems from a radiant source, however dangerous or venomous certain facets of it may be. The complex balance of nature. Your painting Pomegranates has a luscious but somehow sinister quality. What drove you to paint this fruit? I have long been bewitched by the tantalizing color and form of the legendary pomegranate. This particulate fruit has a strong presence in art history, is featured often in still-lives and in cornucopia motifs, and is sometimes used as inspiration for the fruit of original sin within depictions of the garden of Eden. All of these nuances were implied in the creation of this work. The story I am specifically insinuating with the composition is the Persephone myth from classical Greece. In the legend, Hades, Lord of the Underworld, abducts the goddess of Spring and brings her down below to his subterranean kingdom. Whilst captive, the Goddess partakes of the pomegranate offered to her by Hades. The Fates had ordained that whoever consumed food or drink in the Underworld would be doomed to stay for all eternity, but Hades capitulates to the will of the protesting Gods, and releases the goddess for all but the winter months of each year. She remains annually captive in the Underworld one month for each seed eaten. 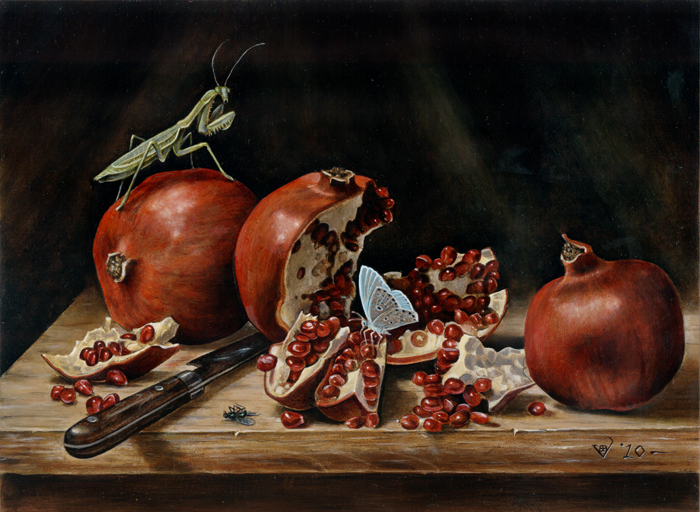 The painting is an allegory for this dramatic tale, the watchful preying mantis standing in for Hades, while Persephone is represented by the small, luminous butterfly that has alighted upon the jeweled seeds of the ripe pomegranate below. The lifeless fly on the tabletop indicates the realm of the dead that Hades rules, as well as denoting the willful smiting of adversity, for which Cronus’s eldest son was renown. The composition contains layers of meaning, but the viewer need know nothing of mythology to appreciate the image. If one enjoys the rich, succulent vitality of a ripe pomegranate, then hopefully this painting will provide some food for thought. 7:00pm/Geo Studio (3rd floor)Showcasing select drawings and paintings from 10 years of work, 2004-2014, A Decennary Retrospective is California artist Benjamin Vierling’s first solo exhibition in Seattle. Employing primarily a 15th century mixed media technique of egg tempera and oil paints on panel, he integrates mythical references with contemporary subjects to bridge the timeless with the ephemeral. The iconic compositions of these panels indicate a rich historical precedent, distilling influences from the classical era, through the renaissance, the romantic period and into the present. Sacred Heart appears on the cover of Three Hand’s Press Veneficium: Magic, Witchcraft, and the Poison Path by Daniel A. Schulke. 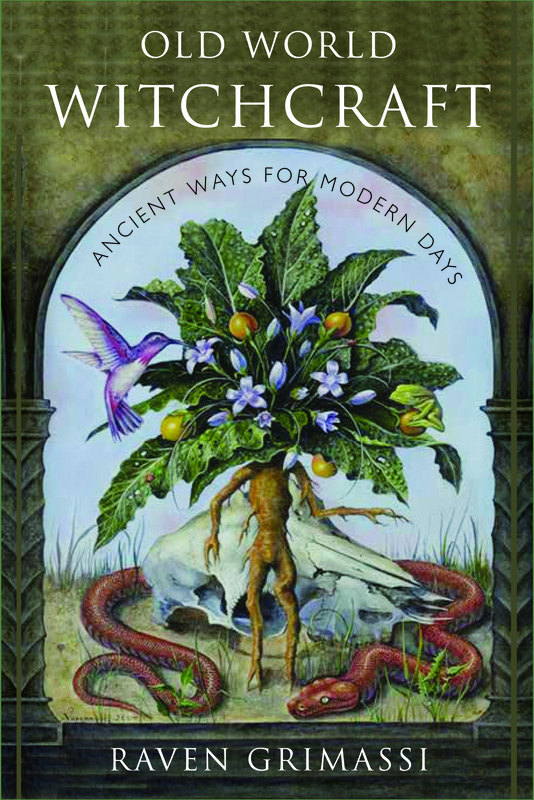 His painting Mandragora officianarum appeared on the cover of Raven Grimassi’s book, Old World Witchcraft. All images courtesy of the artist, Benjamin A. Vierling, and all rights are reserved.